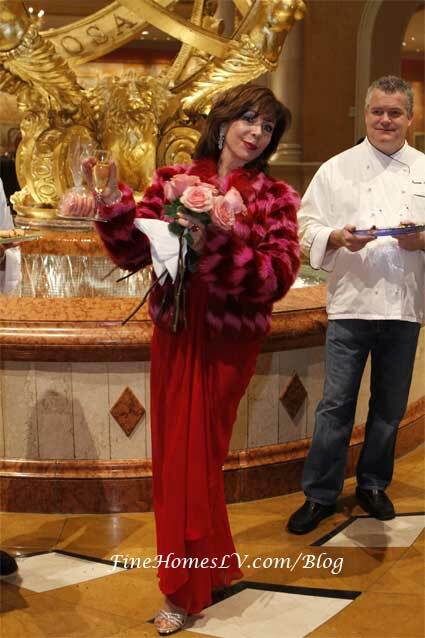 Comedian Rita Rudner welcomed to her new home at the Venetian Las Vegas. 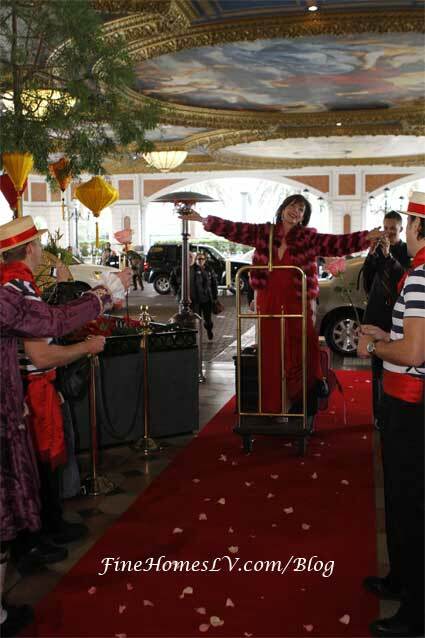 Rudner is the newest headliner at The Venetian and arrived on the red carpet which was covered with pink rose petals. Wearing a red Valentino dress and pink and purple fur coat, Rita emerged from her limo to a cast of Streetmosphere performers, singing gondoliers and cheering onlookers. Rita jumped on the bell cart with her bags in tow and was wheeled onto the red carpet and into the lobby for more fun. 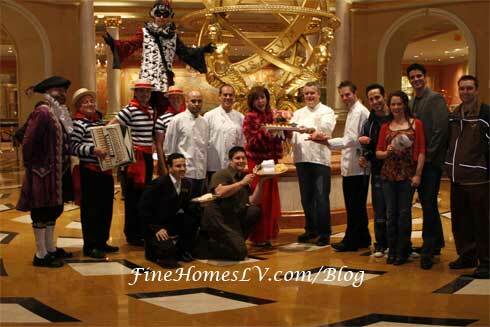 A spa attendant from Canyon Ranch SpaClub Las Vegas was on hand to provide a hot towel for Rita. 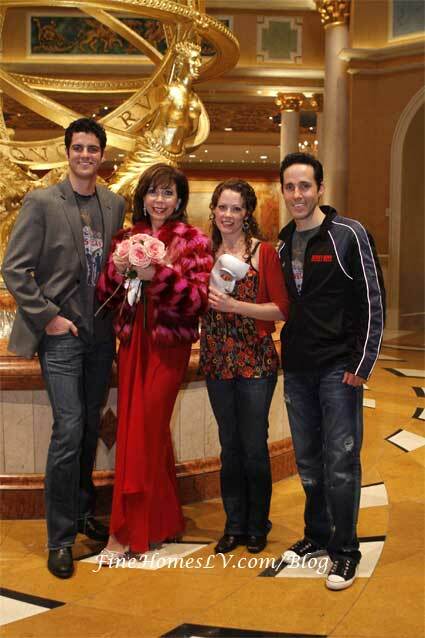 “Jersey Boys” cast members Peter Saide (“Bob Gaudio”) and Jeff Leibow (“Nick Massi”), as well as Kristi Holden (“Christine Daae”) from “Phantom – The Las Vegas Spectacular,” greeted Rita to welcome her into the family of world-class entertainment The Venetian offers. Rita hammed it up for the cameras, tucking a napkin into her couture dress so she could enjoy the food and even waded into the fountain in the lobby.